Our weekend adventure was challenge; original plan was to commute but we changed our minds and brought a private vehicle. None of us don't have an idea where Burot Beach is, but Waze application helped us. Our route was on C5, to SLEX, passing on the highways of Tagaytay, Nasugbu town proper and to Calatagan Public Market. As far as I can remember, we passed by the cemetery and on a rough road to Burot beach. We arrived at Burot Beach at 2:30 PM. Parked the vehicle. Settled the entrance and other fees. The beach has semi-fine creamy colored sand, kissed by the clear waters. Living creatures like fish, crab, starfish, sea grass and some other mollusks. While there’s sun light, we pitched our tents and prepared our food for dinner. While walking by the beach, I was astounded by the gorgeous sun set (photos above). The wind was cool while the darkness started embracing the area. The blue skies covered by the cirrus clouds transformed into a powerful orangey skies which creates an amazing horizon. The trees and the rock formations also formed a perfect silhouette with the beautiful background. 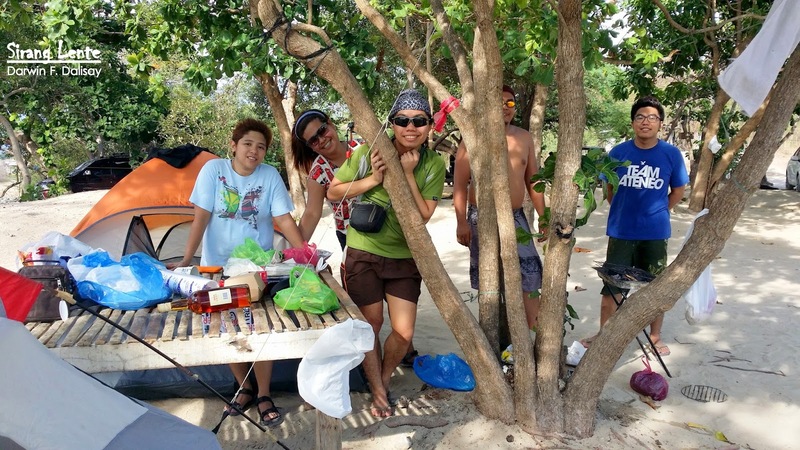 BUROT BEACH IS DEFINITELY ONE OF THE MUST VISIT BEACH, ATTRACTIONS AND DESTINATIONS IN BATANGAS.